Sunday morning this beautiful killdeer greeted us in the church parking lot. 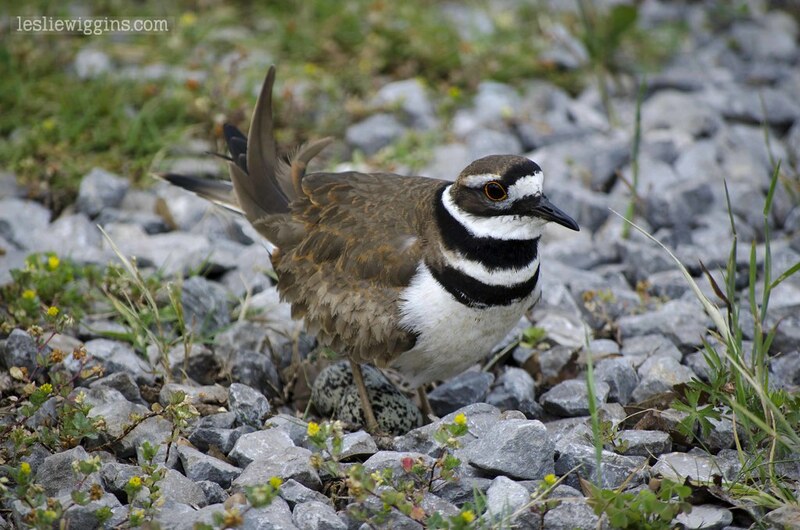 Killdeer lay their eggs among rocks in order to provide camouflage for their protection. Indeed, she was creating such a ruckus, we didn’t immediately see her eggs. We may not have even seen her had someone not given her a perimeter of orange traffic cones. Do you see her eggs? Amazing – they’re camo – What a cool looking bird Leslie.